Crazy Angels are only available in professional salons. Perfect for those first time angels looking to earn their wings with fast flawless results. 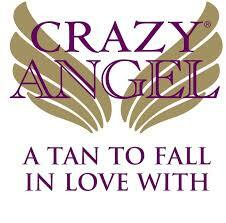 The Crazy Angel Spray Tan Treatment is the quickest way to get a professional finish. The Crazy Angel Ambassador will create a fine mist that will tan and contour you body for a truly exceptional sleek finish.